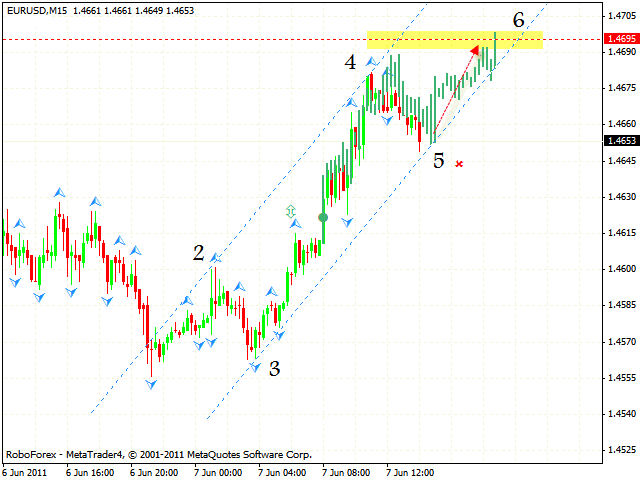 At the moment the EUR/USD currency pair is moving inside the rising pattern. The price is testing the rising channel’s lower border, one can consider buying the pair with the tight stop. But if the price breaks the channel and leaves it, one can consider opening short positions on the pair. 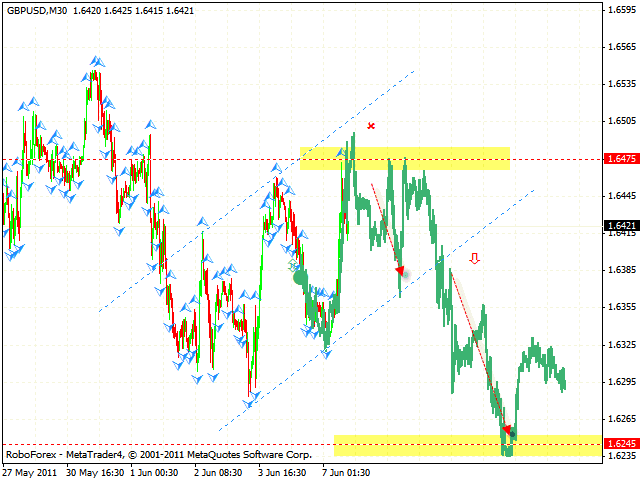 One can consider selling the GBP/USD currency pair near the level of 1.6475. The closest target is the rising channel’s lower border. After the price breaks the lower border, one can increase the amount of short positions with the target in the area of 1.6245. If the price reaches a new local maximum in the area of 1.6490, this case scenario will be cancelled. The pair is moving inside the descending symmetrical pattern. Currently the price is testing the area of the 5th point of reference. Here we can also see the formation of the “triangle”, one can consider selling the EUR/JPY currency pair with the tight stop. The target of the fall is the area of 110.10. If the price breaks the channel’s upper border and leaves it, this case scenario will be cancelled. At the hourly chart of Gold all targets of the rising pattern have been reached, and the price has left the rising channel. 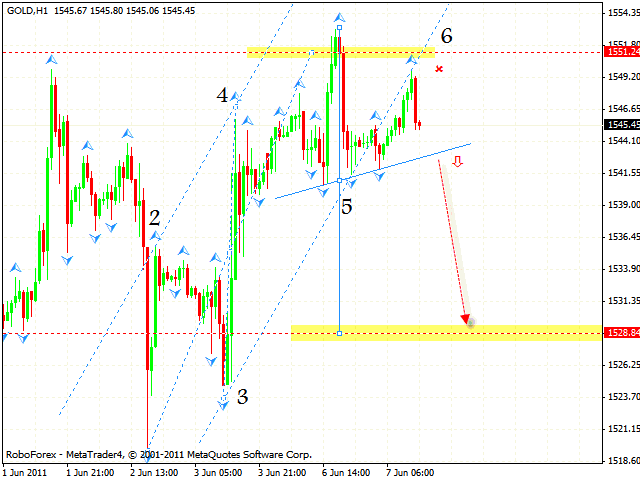 At the moment we have “head & shoulders” reversal pattern with the target in the area of 1528.84. 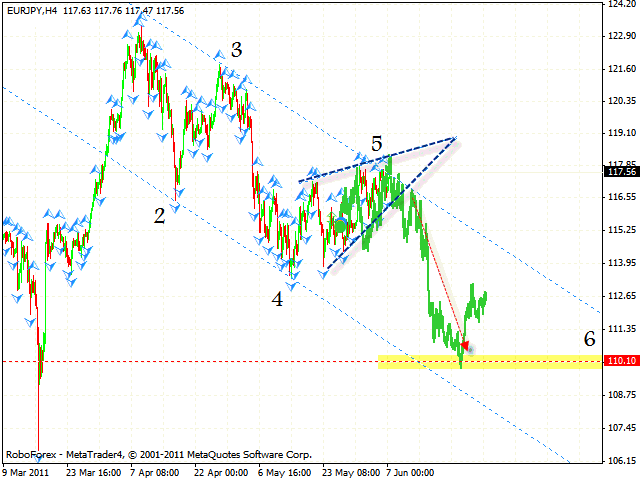 But if Gold grows higher than 1550, this case scenario will be cancelled. 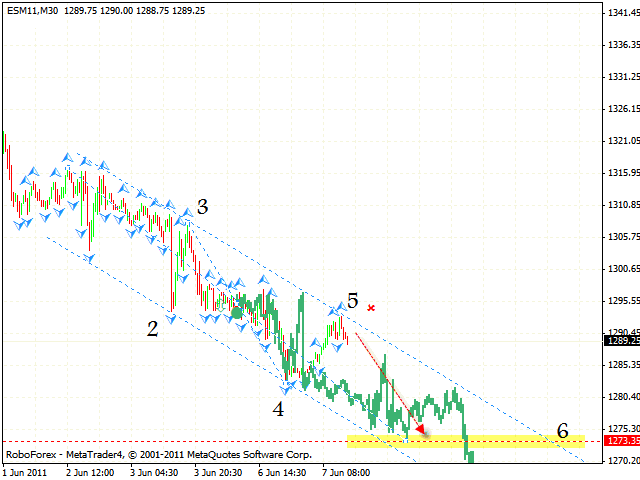 The index is moving inside the descending pattern with the target in the area of 1273. Currently the price is testing the area of the 5th point of reference. One can consider selling S&P 500 with the tight stop. If the price breaks the descending channel’s upper border and leaves it, this case scenario will be cancelled.